Entries are now invited for the Cosyfeet Podiatry Award 2019. This £1000 award is open to any podiatrist or podiatry student who is planning voluntary work, a work placement or research, either in the UK or abroad. Former winners have undertaken a wide range of initiatives including those relating to the treatment of talipes equinovarus in children, the diabetic foot and the podiatric needs of dementia sufferers. Others have travelled to Eastern Europe, Africa, Asia or South America to help with conditions resulting from diseases such as leprosy and filariasis. 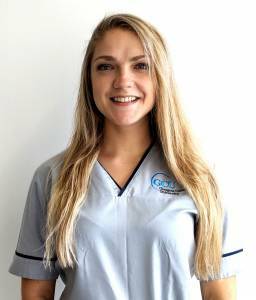 Margaryta Bazelchuk, a Level 3 BSc Podiatry student at Glasgow Caledonian, is the proud winner of the Cosyfeet Podiatry Award 2018. She is using her £1000 award to fund a footwear assessment project with Glasgow’s homeless population. If you would like to apply for the Cosyfeet Podiatry Award 2019, visit www.cosyfeet.com/award for further information and to enter online before the closing date of April 26th, 2019. Cosyfeet is the UK’s leading supplier of footwear, socks and hosiery for extra wide, swollen or problem feet. 11,000 health professionals recommend Cosyfeet products to their patients. For more information email prof@cosyfeet.com or call 01458 449071.